Every company, large or small, needs assessment tools and software applications to evaluate the performance of their employees, and analyze their skill-sets against the set standards. The process allows companies to demonstrate to their customers and stakeholders that their business complies with the industry’s best practices and prescribed norms. 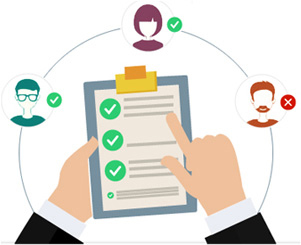 At FCS Learning Solutions, we create assessment tools that enable companies to test the knowledge of their employees that in turn helps in taking important decisions like employee performance appraisals, talent acquisition, talent management, skill gap analysis, and deciding on employees training and learning needs. Our assessment and certification services help you evaluate major talents and skill-sets of your audience and business partners. You can also certify them once they passed the evaluation process and improve the overall competency of your organization for technical offerings.